Mercedes has announced a new track-focused variant of the AMG GT at the 2018 Los Angeles Motor Show. 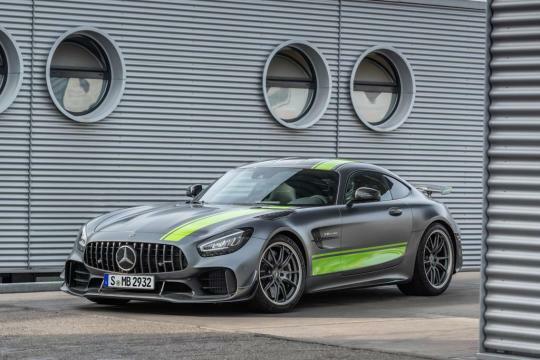 Called the Mercedes-AMG GT R Pro, it arrives as a new limited edition flagship to the range, rivalling the likes of the Porsche 911 GT3 RS. Performance comes courtesy of the AMG GT R’s 4.0 litre V8 biturbo, producing 577bhp and 700Nm of torque. 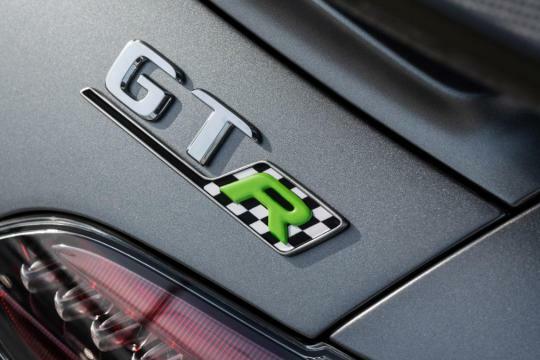 0-62 mph is dispatched in 3.6 seconds and, flat out, the Pro will match the GT R’s top speed of 198mph. 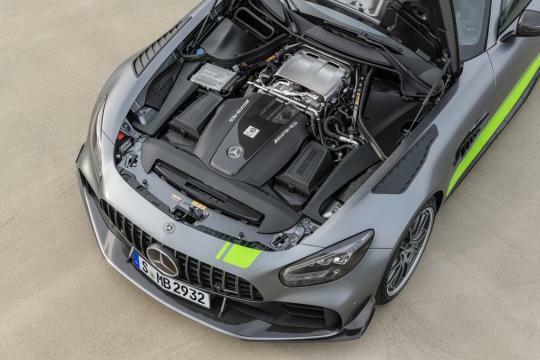 While these figures show no improvement over the standard AMG GT R, the Pro makes up for it with a host of chassis upgrades, including adjustable coil-overs, lightened torsion bars and electronically controlled dynamic engine and transmission mounts. Weight-saving tactics have been employed throughout the Pro’s construction. The roof, seats and fins are made from carbon fibre, the wheels are forged, lightweight units and the brakes are ceramic. The Pro package also features a few aerodynamic upgrades over the GT R, including a new, braced front splitter with canards, a new rear diffuser with canards and an updated rear wing; all of which are made from carbon fibre. A new active downforce system on the front splitter also claims to increase grip. 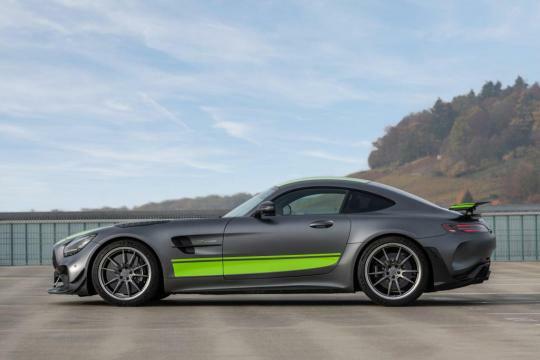 For the European market, the GT R Pro comes equipped with Mercedes-AMG’s track package as standard. 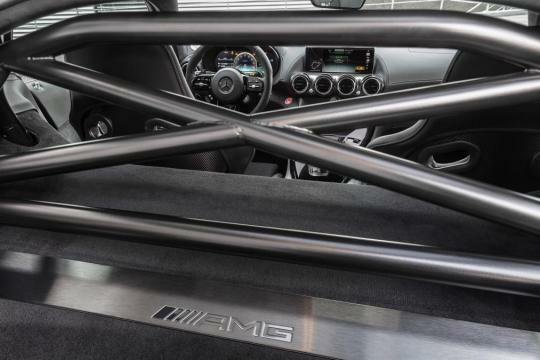 This adds a full steel roll-cage, four-point safety harnesses and a 2kg fire extinguisher. 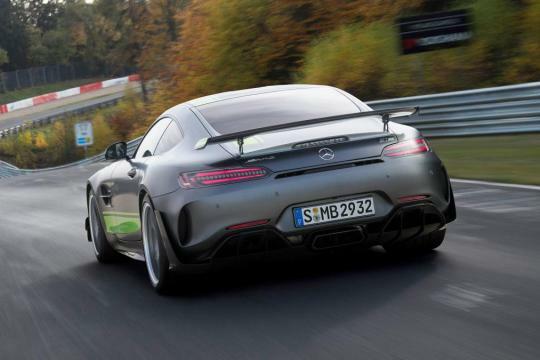 With all these tweaks in place, Mercedes claims that the AMG GT R Pro has completed a lap of the Nurburgring in 7.04.623 – just over five seconds quicker than the standard GT R.
However, the price you’ll pay for that extra bit of performance won’t be minor. Mercedes Benz cannot think of a better name. ?Used GTR...name..like Nissan.